With top-of-the-line equipment, superb monitoring services and unbeatable pricing, ResponseNow Medical Alert Systems provides the very best medical alert solution in the industry. Our management team has more than 30 years of life safety experience. These people know their customers: who they are, what they like to do, how they like to do it. When you’re ordering a medical alarm from ResponseNow, you can be assured you’re buying from a company that truly knows for and cares for its customers. Whether you have our mobile medical alert pendant Belle or one of our traditional In The Home systems, 24-7, U.S.-based monitoring centers are staffed with operators specifically trained to make sure you receive top-notch customer care. Operators can dispatch all types of help to your location including nearby friends, neighbors, and family members or, if you need urgent assistance, emergency responders such as the fire department or police. ResponseNow has the right plan to meet any budget. We greatly appreciate the chance at earning your business and are confident that once you become a customer, you’ll remain one for a long time. Our subscription plans offer you three choices for your desired type of service: Monthly, Quarterly, Annually. When you decide on your plan, we’ll charge you the monthly rate for that plan multiplied by the number of months in it. 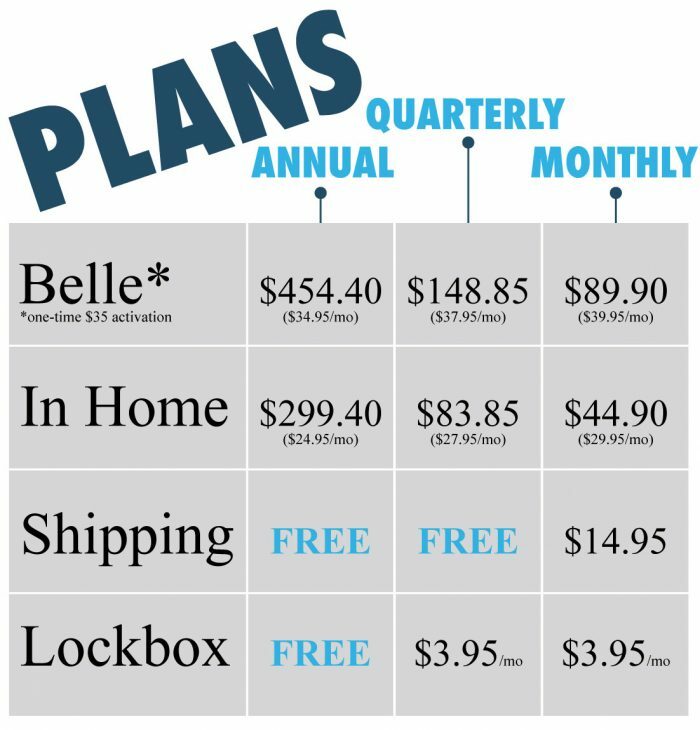 Choose the Annual Plan and save $60 per year along with a free lockbox! We even provide a lockbox that can be used by emergency personnel to access a customer’s home during an emergency without breaking down the front door. There is no equipment to buy meaning that it will need to returned at the conclusion of your service. And while we’re sure that you’ll be a customer for years to come, our 30 Day Money Back Guarantee is available in the event that our medical alert system is not for you. Simply send the equipment back within the first 30 days of service and you’ll receive a full refund. We've been able to provide safe, reliable In The Home protection for years using traditional medical alert systems, but with today's seniors maintaining more of their independence than ever, it's time for that to change. Introducing Belle, ResponseNow's mobile medical alert pendant. This lightweight, shower-proof pendant uses a built-in AT&T SIM card to place emergency calls from both inside and outside your home. After pressing the call button you'll be connected to a ResponseNow operator within moments who can do everything from send an emergency services to calling one of your friends or family members. Take this pendant wherever you go! To the store, on walks around the neighborhood, to a friend’s house; as long as you’re in an area with cellular coverage, Belle will get you the help you need. 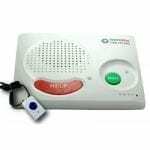 ResponseNow In The Home is traditional approach to in-home medical alert security. Featuring an array of available pendants and a landline-connected emergency console, our In The Home system is the perfect solution for customers who spend the majority of their time in an immediately around the home. While the console plugs into the customer’s home phone line and an electrical outlet, the customer wears a pendant that can be pressed to set off the system whenever help is required. In The Home includes one Traditional Pendant, which can be worn either as a wristband or necklace. Additional pendants like our Fall Detection Pendant can be added to the account at an additional cost. Studies show that more than 50% of adults over the age of 80 will suffer a fall within the next year. Thousands will be unable to get help after such a trauma. Our automatic fall detection pendant provides the solution. Its unique ability to detect falls from normal everyday actions such as sitting or lying down means your loved ones can get help without even having to press a button. ResponseNow provides services across the country through a network of authorized, local ResponseNow agents. These agents are local owners who can provide a personalized, dedicated service to you, something that goes unmatched by online-only national providers. While other companies have cutdown on their presence in local communities, we remain dedicated to regional support. The safety and well-being of our customers has always been and will be our top priority. Call today to find out if there’s a ResponseNow agent in your area! ResponseNow provides products listed as a home healthcare signaling device by Underwriters Laboratories, the trusted resource for product safety certification. We welcome feedback and are proud of our A+ Better Business Bureau rating. Every now and again we’ll hear from customers who took the time out of their day to tell us exactly why they enjoy having a ResponseNow medical alert system. Take a look for yourself!